Order here. Cover art by Akshay Varaham. 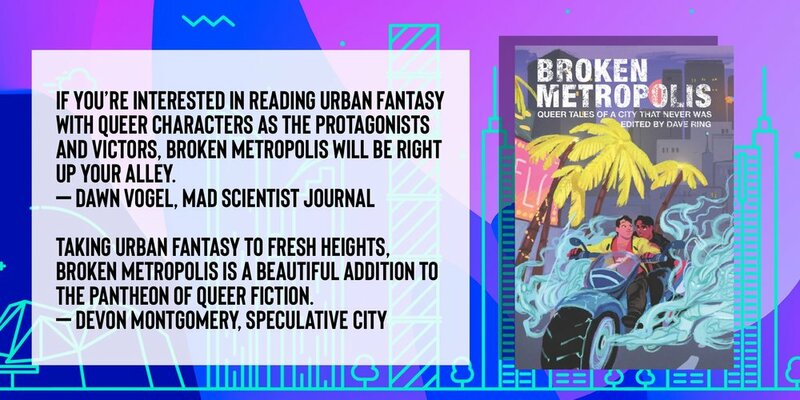 Broken Metropolis: Queer Tales of a City That Never Was (edited by dave ring) explores the edges of urban fantasy through queer narratives in the tradition of Swords of the Rainbow (Alyson Publications, 1996) and Bending the Landscape (Overlook Books, 1997). This collection contains ten of those edges, each one bright and gleaming, from Claire Rudy Foster’s story of a scientist learning to accept not only herself but the very real impact of astrology on her love life, to Caspian Gray’s tale of a young man looking for an urban legend in the halls of a hospital ward so that he can save the matriarch of his found family. 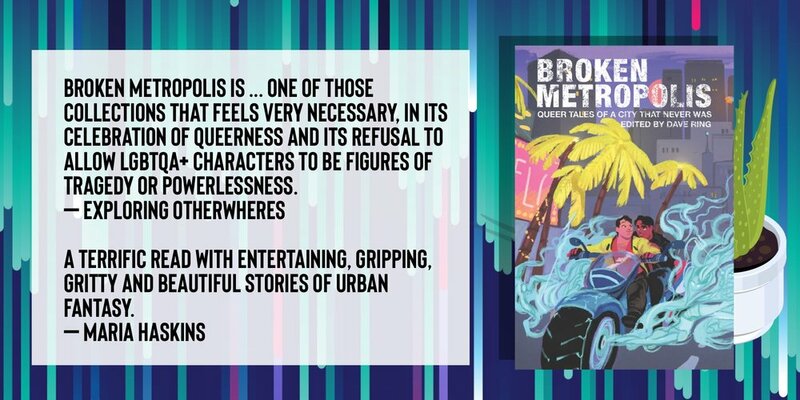 Queer communities hold multitudes, and fantasy writing is a place to explore the magic of possibility. Come explore some of those possibilities in a city that never was. Press Release can be found here. 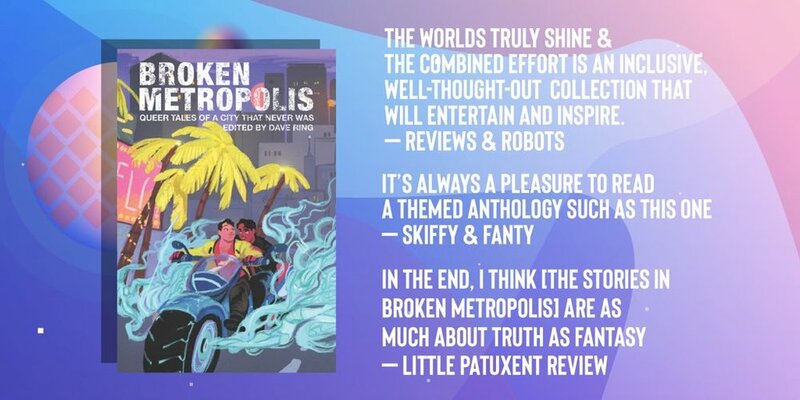 dave talks about the anthology on Lit!Pop!Bang! here. Review copies are available from Mason Jar Press.